This is an attempt to show how the landscape of the old Tono site has changed in the decades since it was an actual town. 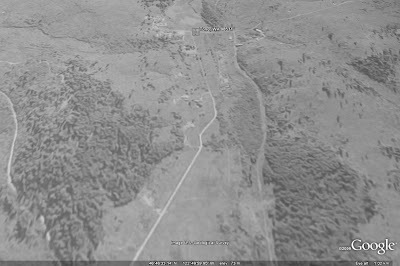 Here is a aerial photo of the town in 1940 overlaid in Google Earth with today's topography, at a low angle, so you can see the warped layout of the town. 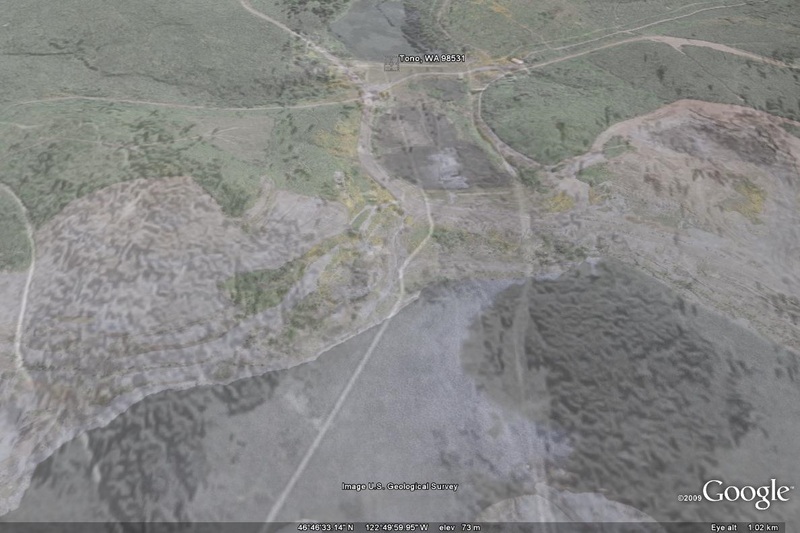 And, this is nearly the same perspective with the overlay at around 70 percent so you can see the current sediment ponds where roads had been. 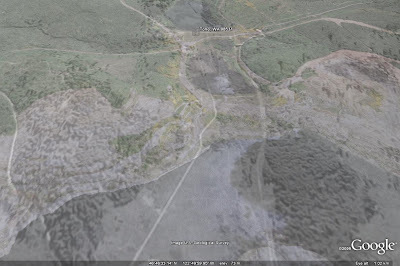 This is the amazing part of Tono for me, not that its a ghost town, but that only a small pocket (on the southwest corner of town) was untouched after the it was abandoned and then the site was strip mined.